These cookies are so good that at least three different countries claim them as their own; although I always knew them as Mexican Wedding Cakes, they’re apparently also known as Russian Tea Cakes and Italian Butter Nuts. 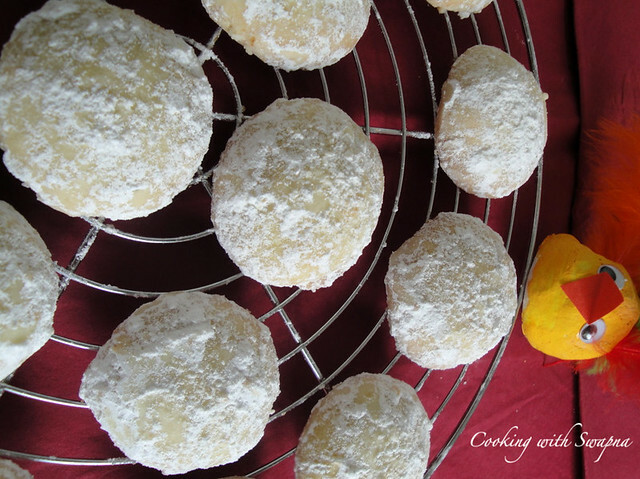 If you haven’t tried them before, these cookies are very rich and shortbread-like, and though they’re coated in powdered sugar, they’re not too sweet. I know it looks like they don’t contain enough sugar, and like there isn’t enough liquid to make a good dough, but just trust the recipe. 1. Preheat the oven at 175 C. Prepare the baking pan. 2. 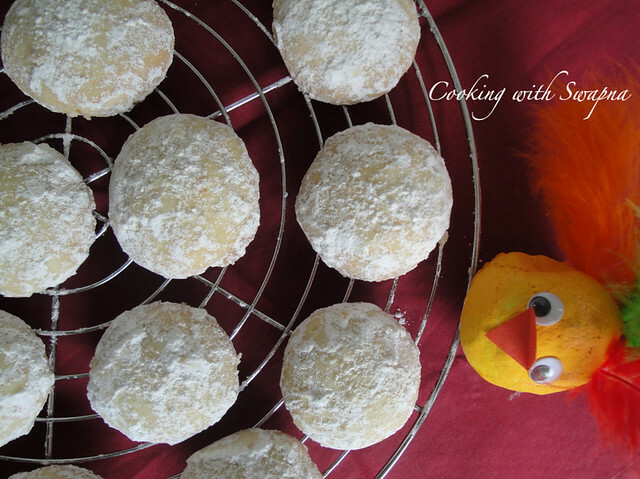 Beat the butter, powdered sugar, vanilla extract until light & fluffy. 3. Sieve the flour & salt together. 4. Now gradually add the flour & the nuts to the butter mixture gradually until well blended. 5. Refrigerate the dough for atleast one hour or until firm. 7. Bake it for 15 mins or until light brown color in the corners. Cool for 5 mins in the baking sheet. 8. 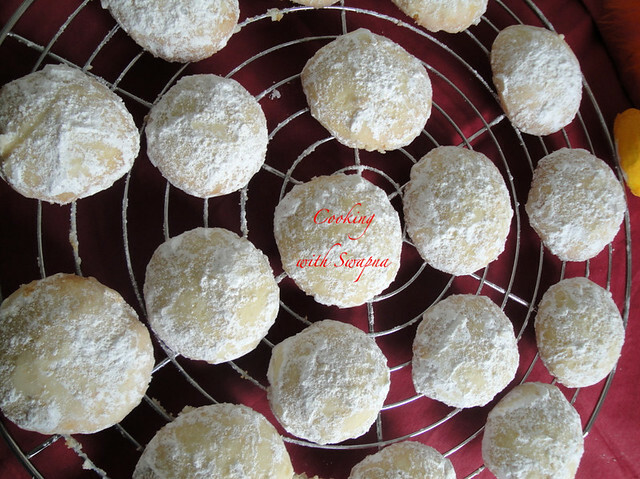 Roll the warm cookies in the icing sugar until evenly coated. Cool completely & store it in the air tight container.